We experience everyday interference with our communication systems and devices dependent upon uninterrupted reception of signals from the United States Global Positioning System. If the signals between our GPS satellites and their receiving ground control stations, or the signals from the ground stations, were disabled by jamming or spoofing, the timing signals of all our digital systems will be disrupted. 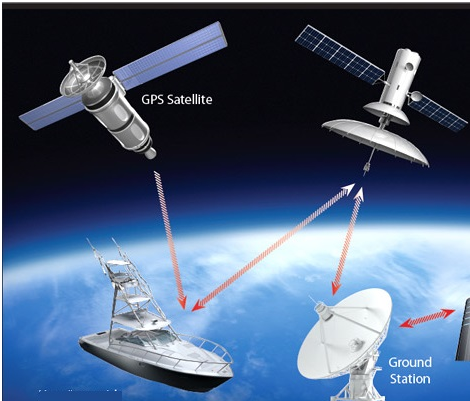 The ever-increasing integration of cyber-architectures with wireless technologies used for our critical infrastructure, communication and transportation systems, financial transactions, and every digital device means we are constantly dependent on uninterrupted GPS signals. However, the scope of this dependency will be suddenly understood only when all these systems and devices completely fail. Take an attack on Manhattan, for example. The first thing most people would notice is that their cellular phones and tablets cannot send or receive calls/messages and many will just go dark. In the absence of timing signals, traffic lights — no longer synchronized and digitally run cars losing control going astray — would cause devastating accidents and create huge traffic jams. By then, people will realize that something had gone terribly wrong. Most first responders — ambulances and firefighters — will be either unreachable or will not be able to reach their destinations. U.S. banks, credit unions and stock exchanges, all dependent on new advanced cyber technology, including cloud servers, will be unable to operate when losing timing signals, and ATMs will no longer dispense cash. Power outages will follow and the oil storage facilities at Brooklyn Harbor will release their content, creating a massive oil spill that spreads into the ocean, while the release of liquefied/pressurized gas in the tankers will create a huge poisonous and flammable cloud over the city. Digitally programmed locks on prison cells would either remain locked or will open to release the inmates who would start rioting and breaking into stores. If this fictional scenario lasts even for a day, it would cost thousands of lives, billions of dollars and civil unrest that will be difficult to control devastating the city and the nation’s economy and security. Yet, a large number of radio frequency jamming devices are advertised and sold in the U.S. despite the 1934 Communications Act that strictly forbids the manufacturing, marketing and importation of jamming devices into the U.S. Apparently, the Federal Communications Commission’s enforcement efforts are not enough to curtail this problem. Incredibly, Wheeler is reported to say “Some companies could take time adjusting to the ‘demonstrably effective’ aspect of the new paradigm…” because it “will require a level of transparency that may make take some time to get used to.”[!] Nevertheless, Wheeler promised to monitor the implementation to decide what, if any, additional steps should be considered to better secure our cyber systems. Is the goal of this policy to test how long before Beijing, Teheran, Moscow or Pyongyang will try challenging it? I doubt it.